In 2007, eight young men, seeking the benefits of a Greek-letter society yet unsatisfied with those in place at UConn, endeavored to found their own fraternity. 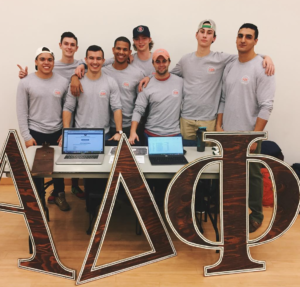 They courted many elite national fraternities to colonize Storrs, but only one organization surpassed their meticulous criteria, lofty expectations, and unique ambition: the Alpha Delta Phi. Alpha Delta Phi is an international social and literary Fraternity that was founded in 1832 at Hamilton College in much the same way as it was at UConn: five ambitious young men compelled to transcend their University’s existing social organizations for a greater good. We can tell you everything there is to know about our organization, however, we want to get to know you. Do you want to be a part of something bigger than yourself, yet intimate enough to appreciate your participation? Do you want to forge lifelong friendships while writing the history of an organization that will thrive for innumerable generations to come? Do you want to join the ranks of past presidents and industry leaders while making a lasting impression at this University and in your community? Then you want to be an Alpha Delt.